When it comes to tropical destinations for the sun-and-relaxation crowd, India’s coastal region of Goa needs no introduction. Facing out onto the shimmering Arabian Sea, this southern paradise has everything to offer – long stretches of white beach, jungles filled with exotic flora, and a rich culture and historic flavour all India’s own. It was just north of here, in the area of Pataudi, that Julia Robert’s character in Eat, Pray, Love sought a spiritual awakening amidst India’s beauty – and through trips taken during the filming, the actress herself reportedly fell under the spell of Goa’s charms, too. As it stands, the 5-acre Conco Island – also called Canacona Island – has nothing to speak of but thick green forests, and a number of shy monkeys who hide from visitors amid the treetops. Locally, it is popularly known as Monkey Island. The island is so close to the mainland that one can simply wait for low tide and wade over through knee-deep waters – although boat tours are offered by locals, popular for the schools of dolphins often seen off the island’s western edge, and views of the scenic rock formations visible on the mainland shores. Facing the island is Palolem Beach, a mile-long crescent of sand famous for its unspoiled beauty, and a unique view – standing at either end, the beach can be seen in entirety. There are just a few simple beach shacks scattered here and there, and fishermen still make a traditional living in the waters offshore. 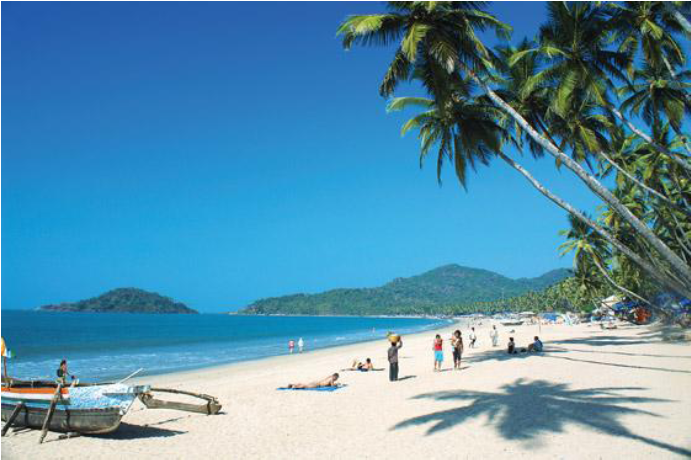 However, Palolem Beach has had a brush with fame, despite its sleepy atmosphere – it was the location of Jason Bourne’s Indian residence in 2004’s The Bourne Supremacy, as played by Matt Damon. In early February, Indian Chief Minister Digambar Kamat said that the government would consider acquiring Conco Island for tourism activities. 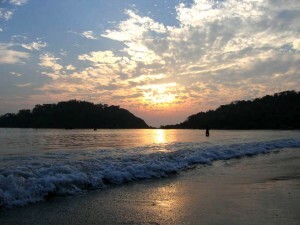 Canacona MLA Vijay Pai Khot supported this motion in the Goa Assembly, saying that the island was ideal for eco-tourism development, due to its beauty and proximity to the beach. However, there may be other, more serious, issues raised with this proposal. While it was not stated who currently possesses the island, an article published in The Times of India seem to indicate that it is, in fact, already privately-owned. At the same assembly, MLA Khot declared that all private islands in India should be taken over by the government, including Conco. This was in response to a motion tabled by Deputy Speaker Mauvin Godinho, addressing the proposed acquisition of the local Bimbvel Beach and small islands around Baina – another beach – by the Indian Navy. Troublingly, the idea was put forth that any and all private ownership of islands could be dangerous in terms of national security. Another report in a local Goan paper suggested that not only could the islands in question near Baina – which have mixed state and private ownership – be taken into military jurisdiction, but access by tourists and even locals – who use the islands for fishing and religious activities – would be severely restricted by the Navy. A representative from the local fishing and boating organization said that even if usage was not formally denied to locals, they would certainly face harassment from security personnel. At heart, the question is whether the Indian Government will respect the right of private property, or use eminent domain to acquire valuable beach and island land for military or tourism purposes. It remains to be seen whether their plans will go ahead, and what, if any, compensation would be given to private owners. However, in November of 2010, a Goan court successfully took back plots of land that had been previously allocated to developers to create industry in the province. For the private owners of “strategic” land in Goa, the trend, at least, does not seem to be going in their favour. The Goa’s top famous entertainment is visiting backwaters & rivers (f.e Divar island, Sal River) by private yacht. Enjoy new Goa.